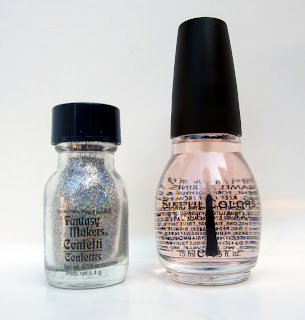 Did you know you can make your own nail polish color? Take an empty bottle, mix colors together and there you go! There's a huge community of nail enthusiasts who make their own polish. It's called frankenpolish or frankening. 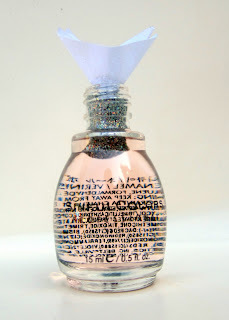 Today I made a holographic glitter nail polish. 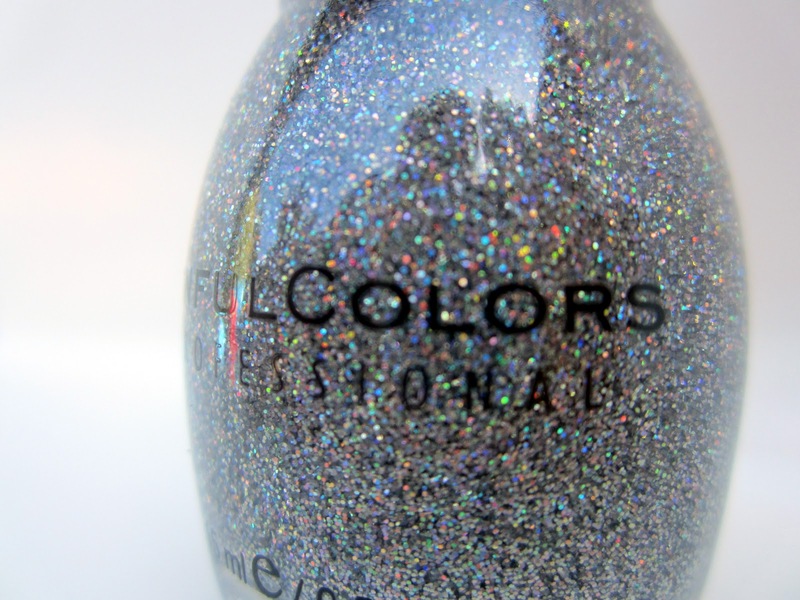 I bought this holo glitter for $2.99. 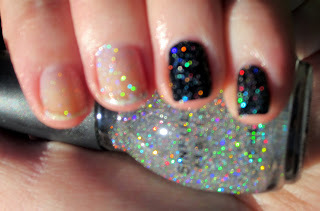 Called Glitz by Fantasy Makers owned by Wet N Wild. The best time to find this stuff is during Halloween so get yours now! I also bought Sinful Colors Wet Glaze for $1.99. It's just a clear top coat. I made a funnel with some paper and poured about a third of the holo glitter into the clear polish. 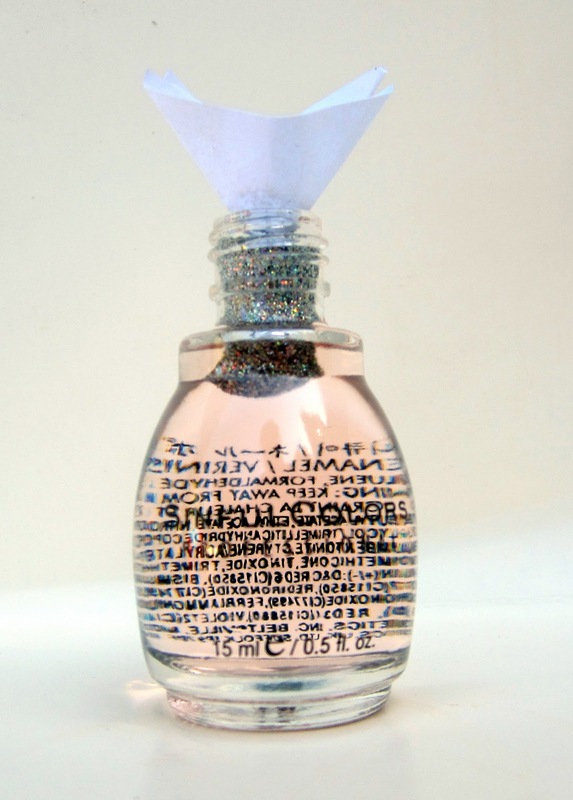 A quarter of the bottle would have been sufficient but when it comes to glitter I go balls out. Mix it up really well and viola! The glitter will settle to the bottom during storage so just make sure to shake it up before you use it. Nails taken in shade. Pointer finger has one coat. Middle finger has two coats. 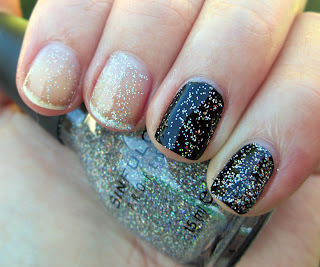 Ring finger has one coat over Wet N Wild Wild Shine Black Creme. Pinky finger has two coats of glitter over black. Nails taken in direct sunlight. Now I've got an amazing glitter top coat for less than $5 and I have a bunch of glitter left to make more. Maybe I'll add glitter to a creme polish next.